If you ask me, every snowfall is a little piece of magic, and the first snowfall is especially magically. 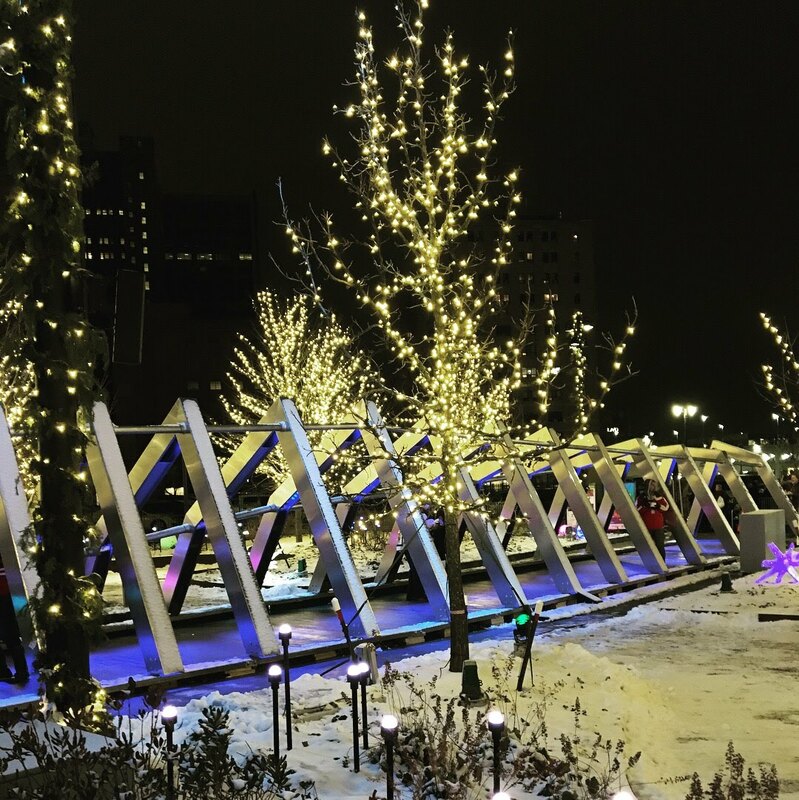 My first snow in Detroit did not disappoint, and all the fun and festive events happening across the city only added to the magic. 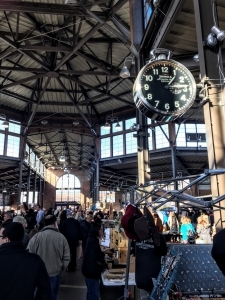 I started my winter tour with the Holiday Markets at Eastern Market. I love the traditional Eastern Market Saturdays, and the Sunday Holiday Markets did not disappoint. The sheds were just as crowded as on a 30 degree December day as they are on an 80 degree June morning. Furthermore, it was incredible to see Detroiter’s passion and talent shine through in the crafts and wares they were selling. Although this is the only holiday market I’ve made it to thus far, I know there have been a variety of others. The Detroit Urban Craft Fair, for example, is on my list for next year. Detroit has no shortage of beautiful parks and neighborhoods to hold amazing events. 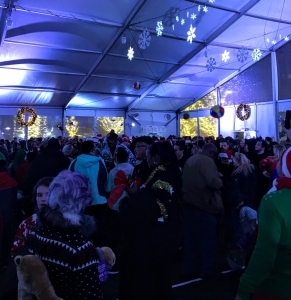 On Saturday, Dec. 9, Detroit attempted to break the Guinness World Record largest gathering of (ugly) holiday sweaters in Beacon Park. Although we fell short, the silent disco that followed was one for the books. Having a massive dance with people in ridiculous sweaters is something I highly recommend. Beacon Park was the perfect setting for this event, with it’s fun, interactive art. The lights in this “campfire” would get brighter and “sparks” would shoot up higher as people moved. It seems like there are always multiple events going on, and sometimes it can be difficult to decide what to attend. On my list for next year are Noel Night and the Belle Isle Holiday Stroll. 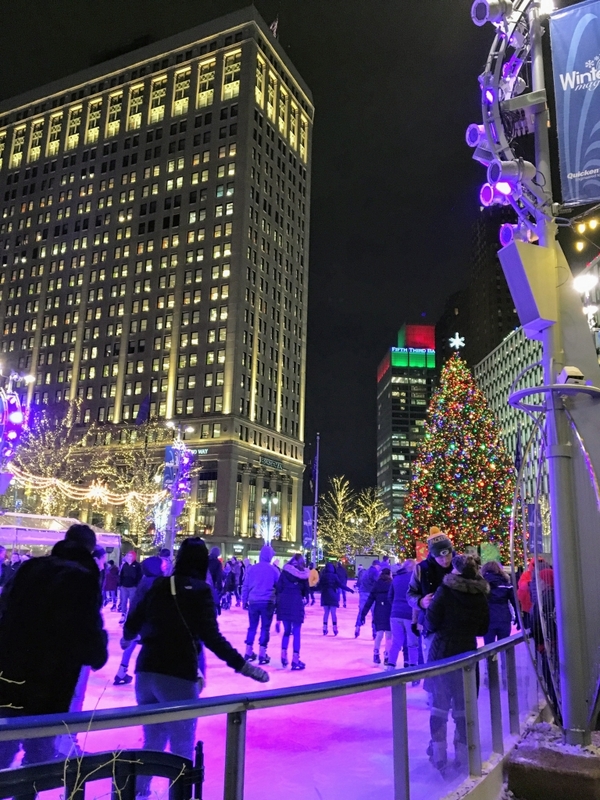 Of course, a winter wonderland would not be complete without an ice-skating rink and magnificent tree, and Campus Martius exceeded this requirement. Nearby Cadillac Square and Spirit Plaza were equally majestic with pop up shops. 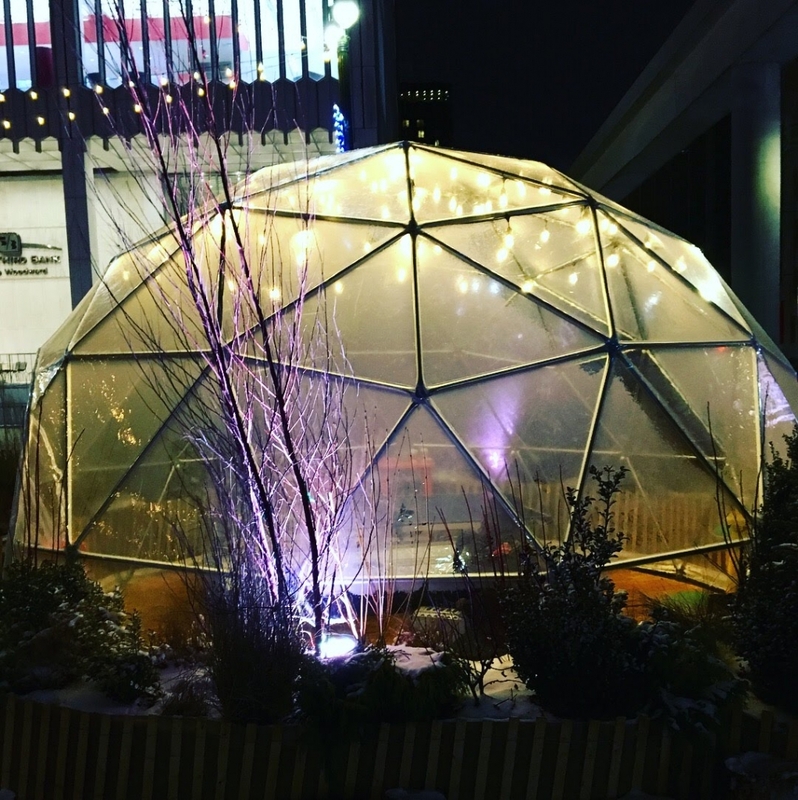 The shops in Cadillac Square were shaped like little glass houses, while Spirit Plaza looked more like Igloos and even had an Ice Maze. 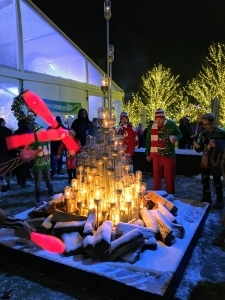 If you’re looking for holiday fun this winter, Detroit is the place to go!